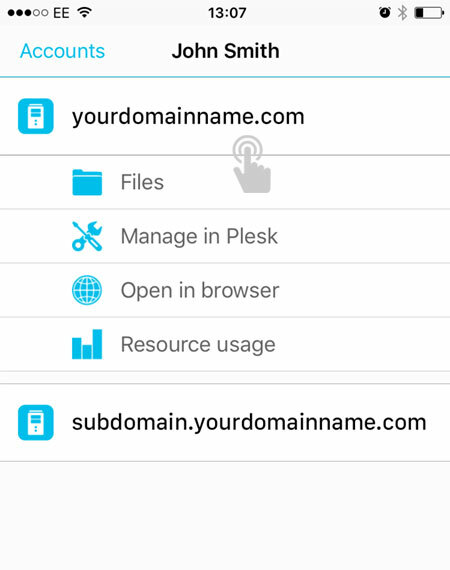 This is a quick step-by-step walkthrough for installing the Plesk Mobile app on an iPhone or Android device. Plesk Mobile is a free app that lets you access all the features of Plesk via an intuitive, touch friendly interface. Firstly you'll need download Plesk Mobile for your device. Alternatively, you will be able to find the app by searching for 'Plesk Mobile' on your devices application store. 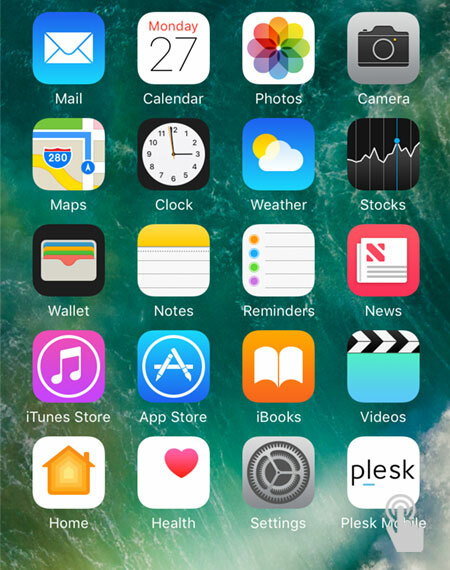 After the 'Plesk Mobile' app has downloaded, find the application on your phone and tap on the icon to launch it. The first time you use the app, you'll need to add your account. Fill in the host name (without https or http, or a port number), username and password, then tap the 'Save' button. If you do not know your host name, it is listed as 'Plesk URL' on the overview page of your Reseller Hosting account, inside the 34SP.com control panel. Once you have logged in, click on the domain you wish to edit and you have full access to Plesk, your website files and usage statistics.